Hello! Welcome to AP Calculus. 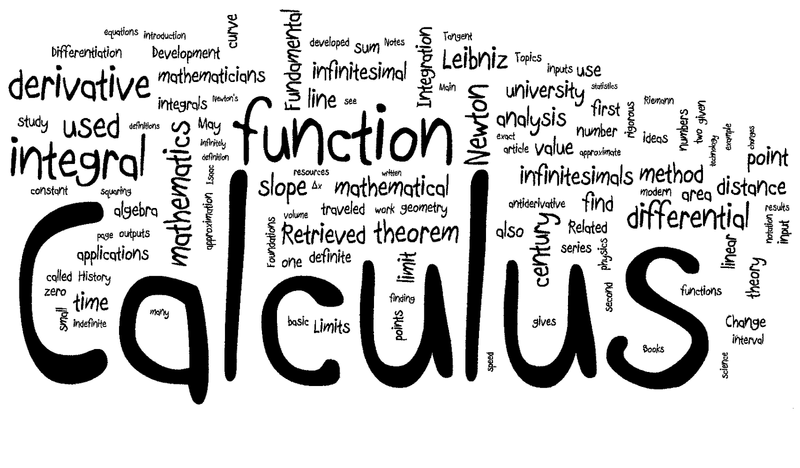 In this course you will find resources for AP Calculus AB and BC. Below you will find the video notes for the course. They will remain up during the year so that you can review at your leisure. Dan Leckie has created vodcasts to accompany Chapter 1 that you can use to review topics when needed. You can check them out here. Mr. Leckie's videos can be found here. Click Here for Mr. Leckie's Vodcasts. Topic 17 (Topic BC 5) - Newton's Method has no video, but should be discussed and practiced at this time. Topic 42 - Derivatives of Inverse Functions is a little bit tricky, so I like to do this lesson in person. Video for Topic BC 40 - Vector Valued Functions is complete, but example 6 needs to be redone. The video for Topic BC 49 - Power Series is complete, but needs to be updated to reflect changes in the lesson.